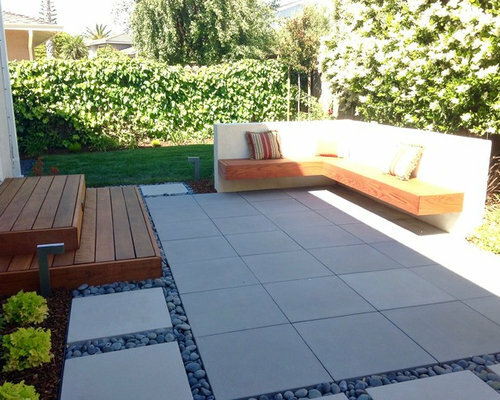 A modern backyard retreat with fountain includes playhouse and lawn for a kid-friendly space. Contemporary backyard with concrete pavers surrounded by Mexican river rocks. A comfortable "floating" wooden bench in a stucco wall creates a separate garden "room" from lawn and kids play house. 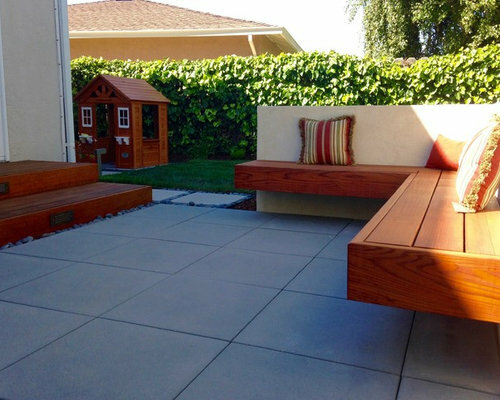 Contemporary backyard with "floating" wooden bench and stucco wall to create a separate garden "room" from lawn and kids playhouse. 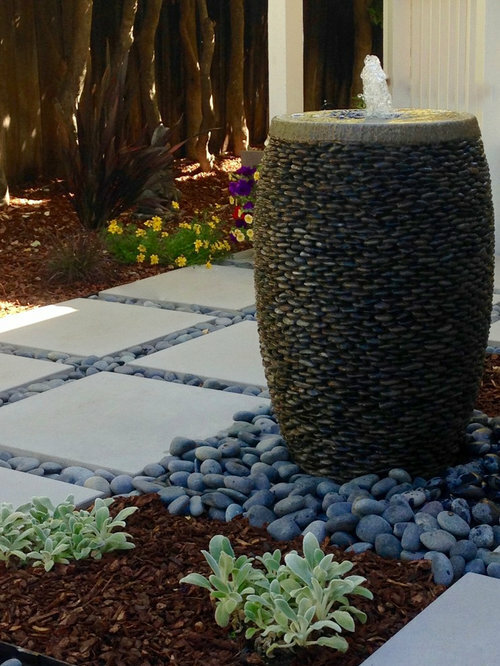 The focal point of this Contemporary backyard is a outdoor fountain made from an urn embedded with Mexican river rocks. 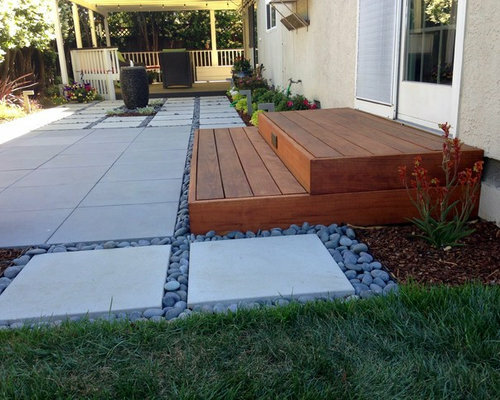 This contemporary backyard combines multiple textures to create visual interest including concrete pavers, Mexican river rocks, and large redwood steps. 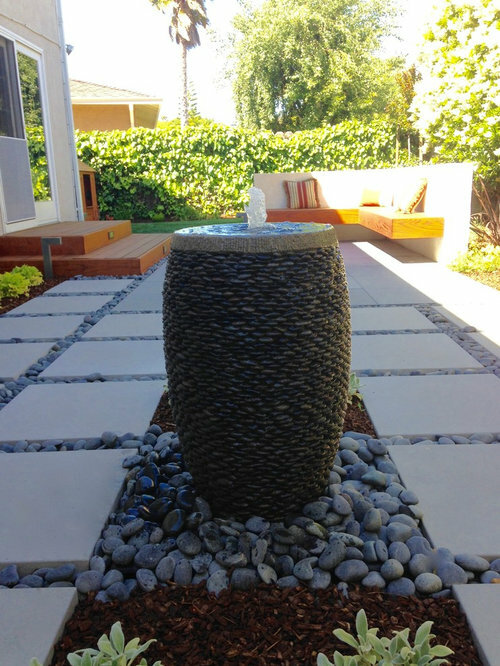 The focal point of this Contemporary backyard is an outdoor fountain made from an urn embedded with Mexican river rocks. 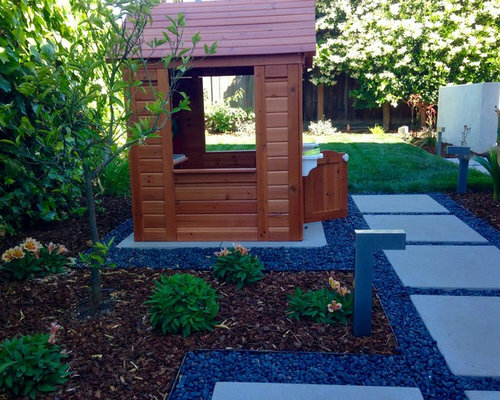 The kids have a great play area including this cute playhouse and small lawn area.